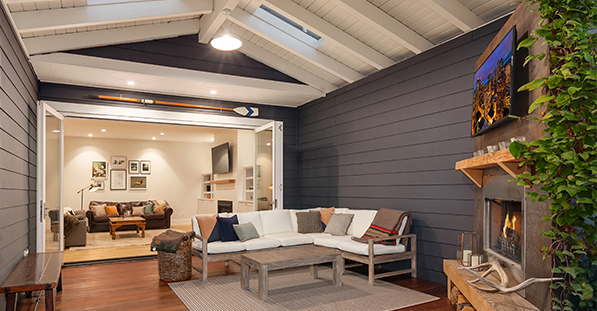 LaCantina was named the 2018 Brand Survey Winner for the second consecutive year in the Bifold Doors category by Builder and Developer, the leading national trade magazine focused on the production home building market. Readers voted for the most preferred brands in more than 100 product categories ranging from flooring, roofing, siding & trim, appliances, kitchen & bath, doors & windows, smart home technology and more. As the pioneer in folding door systems, LaCantina offers the most comprehensive range of material options including Aluminum, Aluminum Thermally Controlled, Aluminum Wood, Contemporary Clad, Wood and Vinyl to complement any architectural styles with performance options to suit all environments. “This is the 16th year the Brand Survey has been conducted and each year our readers continually recognize brands that are producing high-quality, innovative products like LaCantina,” stated Nick Kosan, Associate Publisher, Builder and Developer.